Citizens for Transparency is not included in the New York State database of corporations and business entities. However, the database does not include assumed names. Presumably this is an assumed name for an existing 501(c)3. In response to the newly launched campaign, ADF’s senior counsel, Jeremy Tedesco, shot back at Citizens for Transparency, calling it “an anonymous group that simply copies and pastes false claims" of the Southern Poverty Law Center. The fact that Citizens for Transparency is anonymous is irrelevant. Note that Mr. Tedesco failed to identify what the SPLC got wrong about ADF. The SPLC relies on an organization's own words and its own actions. 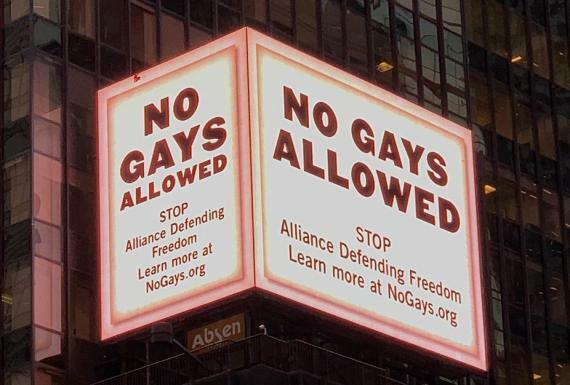 Winning cases at the Supreme Court does not mean that ADF is not a hate group. 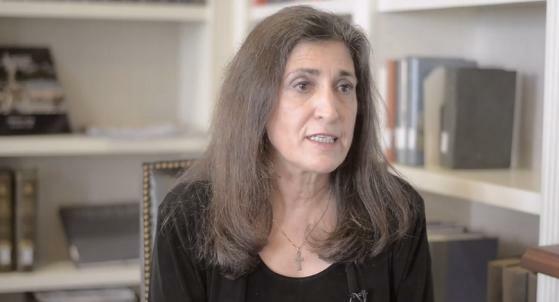 The SPLC did not claim that ADF is currently working to criminalize homosexuality. ADF has done that and may very well do so again. The best predictor of human behavior is past behavior. One of ADF's current hobbies is the promulgation of bigoted model legislation preventing transgender accommodations. It seeks to spread the myth that trans kids are dangerous to others. No, it is aimed at highlighting the fact that ADF traffics in anti-LGBT hate. The fact that ADF is sometimes successful provides the imperative. In their statement, ADF is attacking Citizens for Transparency ad hominem - attacking the arguer rather than the arguments. The anonymity is irrelevant. If there is a “smear,” ADF has failed to point it out. It is ADF that routinely smears LGBT people. Platitudes! ADF fights for the supposed rights of people to discriminate against LGBT people in defiance of laws prohibiting such discrimination. They do nothing positive for any LGBT person or persons and they never have. ADF did not accomplish its objective in Masterpiece. ADF challenged the nondiscrimination law and that remains in full force and effect. A real victory for ADF would have been a ruling that nondiscrimination laws have a religious exemption. ADF was arguing against established precedent. If Jack Phillips discriminates again (as he has) the state can, and has, held him accountable. The fact that Citizens for Transparency is anonymous has no bearing on the accuracy of the statements that they make. 50 million tax-deducted dollars flow to ADF yearly. Those donors are anonymous. We all subsidize ADF. ADF legal counsel Douglas Wardlow testifies in an Anoka-Hennepin school board meeting in Minnesota against allowing trans students to access facilities in accordance with their gender identities. Prior to his testimony, he sent a letter to the board in which he used the discredited research of Mark Regnerus and Paul McHugh to falsely claim that protecting trans students from discrimination is not supported by medical science. It is. Ms. Kramer goes on to disparage the SPLC with the same old talking points. She fails to cite a single thing that the SPLC has gotten wrong about ADF. ADF personnel seem to be highly agitated by the billboard. Instead of attacking those responsible (and the SPLC which is not responsible) ADF should direct its energies towards being less hateful. Then there will not be any billboards. ADF won't do that. Hate groups rarely change. The billboard may be only a beginning.